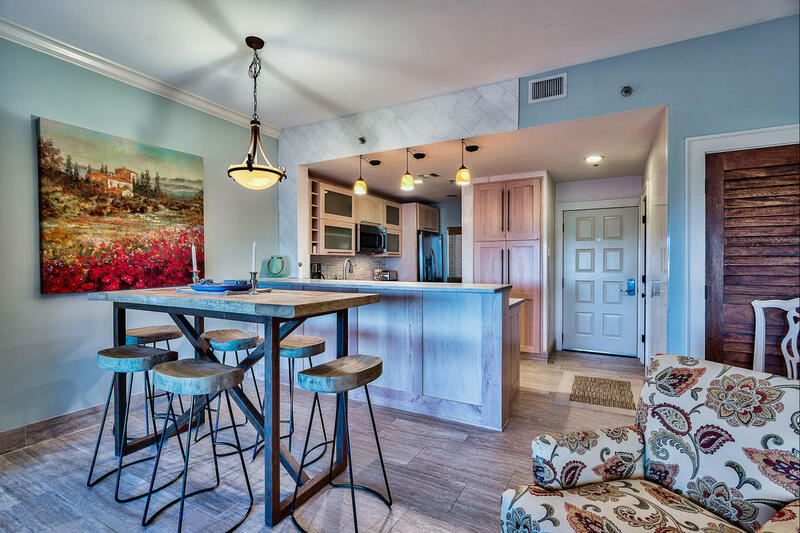 This updated two-bedroom, two-bathroom condo in Beach Manor located in the Tops’l Beach & Racquet Resort has unobstructed views of the Gulf of Mexico. 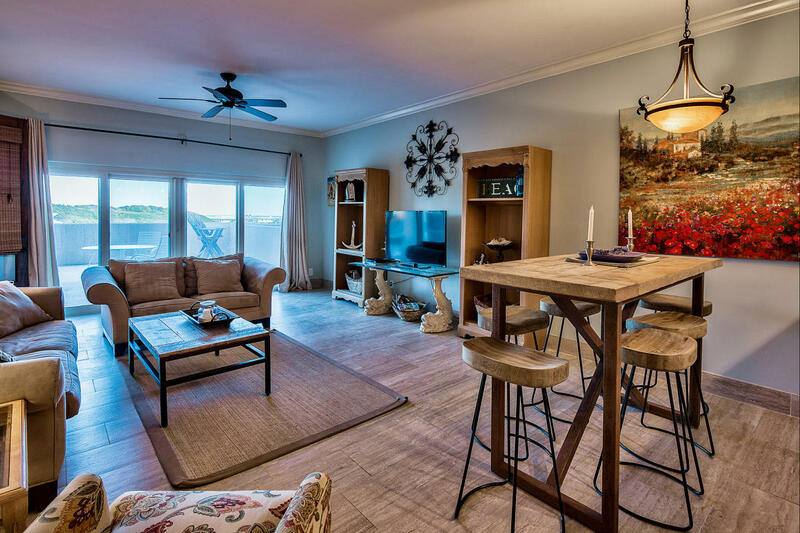 Tile floors run throughout the living areas with wood flooring in the bedrooms. 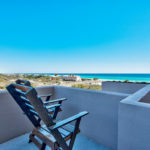 The large open deck off this condo is an ideal spot to gaze at the emerald waters of the Gulf. 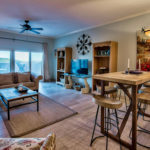 Inside this beach retreat you will find a tastefully updated condo with newer kitchen appliances, elegant countertops and an amazing master bathroom with heated floors. The master bedroom has access to the deck as well. The master bathroom has dual vanities and a large tile shower with rain head. 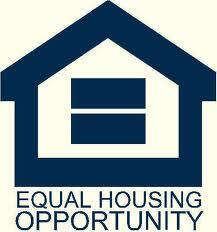 The open living, kitchen and dining areas are great for entertaining or family get togethers. An additional guest bedroom is at the front of the condo with a full bathroom. Condo also has in-unit washer and dryer. Beach Manor has a community pool and covered garage parking. Tops’l Beach and Racquet Club is one of the area’s best kept secrets. 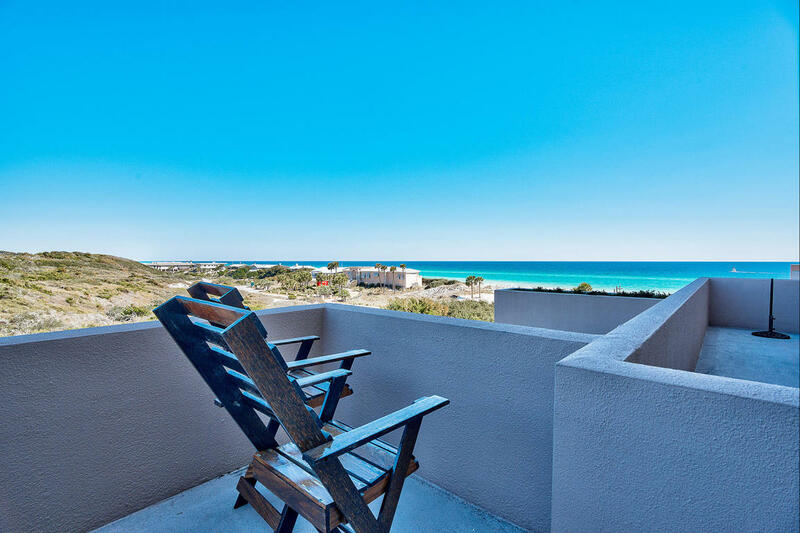 With a state preserve bordering the entire east boundary of the resort from Hwy 98 to the beach, this resort has incredible views. 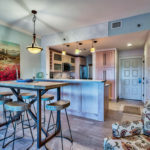 Offering over 600 feet of frontage on the Gulf of Mexico, fully equipped fitness center, swimming pools, a convenient restaurant, and gated security entry to the resort.